OSWEGO -The District Attorney’s Office has received a report Wednesday (October 31) from two individuals who took their children trick-or-treating in the town of Mexico. The parents state that when they checked their child’s candy, they found that a “DOTS” candy box had been opened and that the candy had been replaced with rocks (and then resealed), DA Gregory Oakes said. 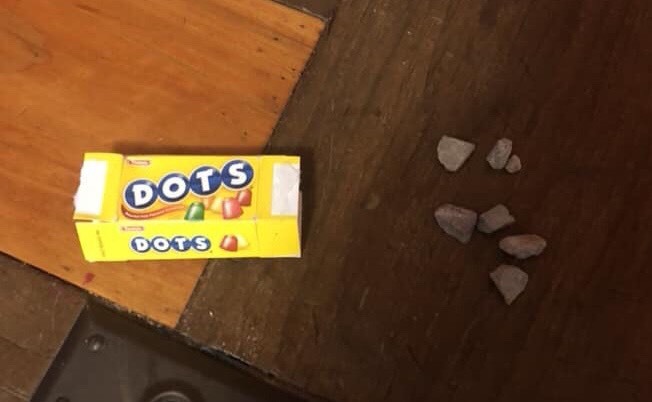 Parents who took their children trick-or-treating in the town of Mexico should check their children’s candy packages, as the rocks can pose a choking / safety hazard, he said. There have been no reports of possible tampering elsewhere.